Striking Design & Superb Craftsmanship are just the beginning! Hammerworks Handcrafted Tudor Home Style Post Lantern Model OWP1 is incomparable in its’ detail and quality. Differing from our Colonial Post Lanterns it is constructed with heavy gauge copper and hand hammered rivets for impeccable results. Also our process of metal spinning the tops & bottoms, as well as the custom bent glass complete each piece. Most importantly we offer the English Tudor Copper Wall Lantern OWW1 and Tudor Style Copper Wall light OWW1A to coordinate. Furthermore English Tudor Hanging Light Fixture OWH1 and Tudor Style Ceiling Copper Light OWC1 complete this impressive collection. You can easily carry the same design theme to your homes’ interior with our collection of Tudor Style Chandeliers & Wall Sconces. For example consider the dramatic Tudor Style Copper Chandelier CH421 in your foyer or great room. To coordinate with this handsome chandelier the Tudor Wall Sconce S143 or English Tudor Wall Sconce S143A are perfect. In addition the Arrowhead shaped Tudor Style Wall Sconces S144 offer a look that is uniquely “American”. The exquisite hand hammered detail of these heavy gauge solid copper Tudor Style Fixtures is remarkable. The designs add special appeal & character to any room. This unique Olde English Tudor Lighting is especially suited to log homes, lodges and other rustic settings. Our selection of Olde English Tudor Lighting includes a collection of Reproduction Olde English Lighting. 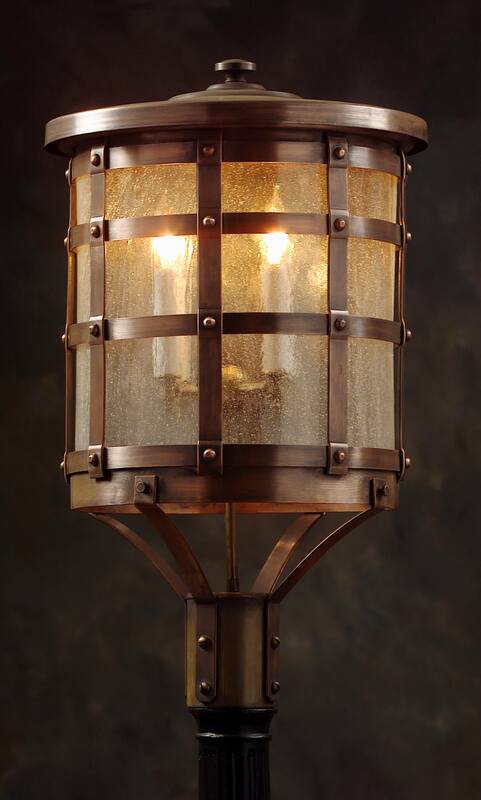 These charming elegant fixtures encompass the “Manor Lights” and the “Olde English Street Lights”. 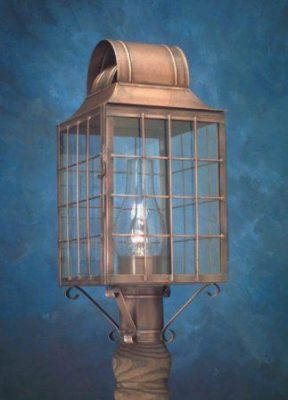 Within these collections we offer Post Mounts including English Street Post Lantern 920P and Old English Manor House Copper Post Lantern 922P. Each of these designs offer the coordinating English Style Wall Light 920W and English Manor House Wall Lights 922W. In addition English Manor Copper Hanging Lights 922H complete the collection.